In my last post: No More Eggs Please!  (lol) we were discussing other easy low carb breakfast ideas – besides eggs. After that, I went three full days with NO eggs. After that I was happy to have my favorite cheesy eggs again (yesterday) but it was a nice break from what had turned into a daily routine. Better known as a RUT, lol. This is an older post but it tells you all about Ebates and why I love it, and also how I use it. I haven’t updated that post lately, but I’m now up to almost $2,000 earned with Ebates! 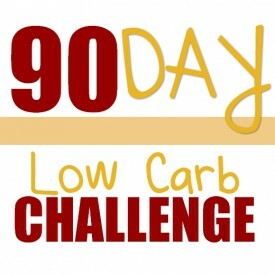 Watch for my next post & email about the Year-End Low Carb Challenge and a FUN new series of LIVE Low Carb Classes too. 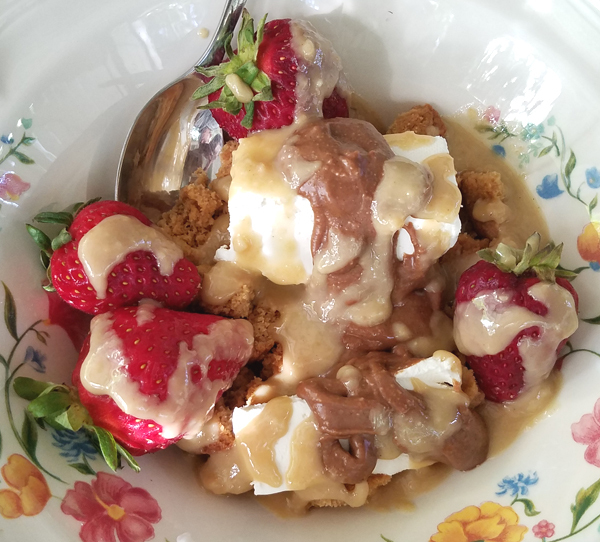 It’s two peanut butter NUI keto cookies crumbled up on the bottom and topped with cream cheese, Peanut Butter Chocolate Chip Almond Butter and 4 perfectly ripe strawberries, all drizzled with Macadamia Sea Salt Nut Butter. 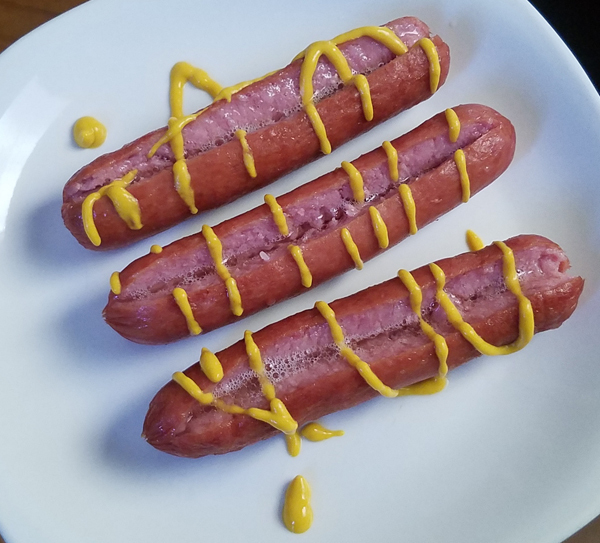 Monday is a super long and always full work day for me, and that breakfast held me over for awhile, but for a quick late lunch I just made 3 Oscar Mayer Smokies and drizzled them with a little mustard. For dinner I cooked two hamburger patties and dipped them in Duke’s Mayo. It was at least 7 ounces or almost half a pound of hamburger, seasoned with garlic powder and a little minced onion & salt. 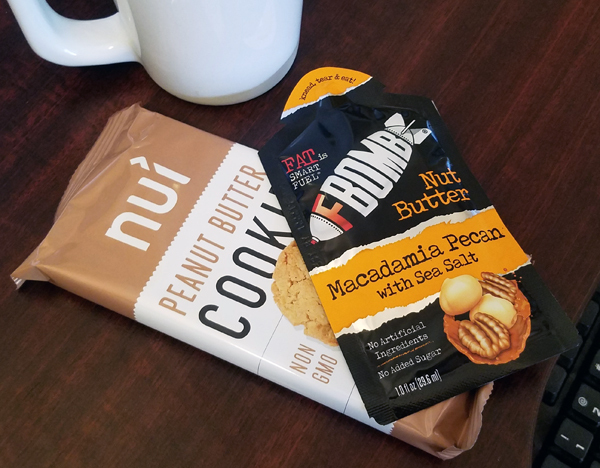 I had a couple of snacks at my desk to power through the work day: Peanut Butter NUI Cookies (I’m hooked on those again!) and a Macadamia Pecan Fat Bomb. 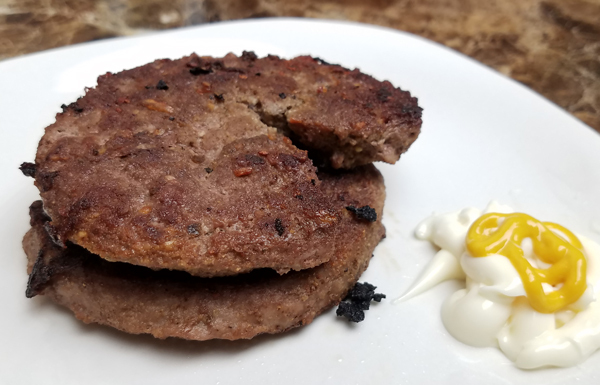 I had two more hamburger patties in the 4-pack I bought, and I was up way later than I meant to be, so I fried those up when I got hungry again. 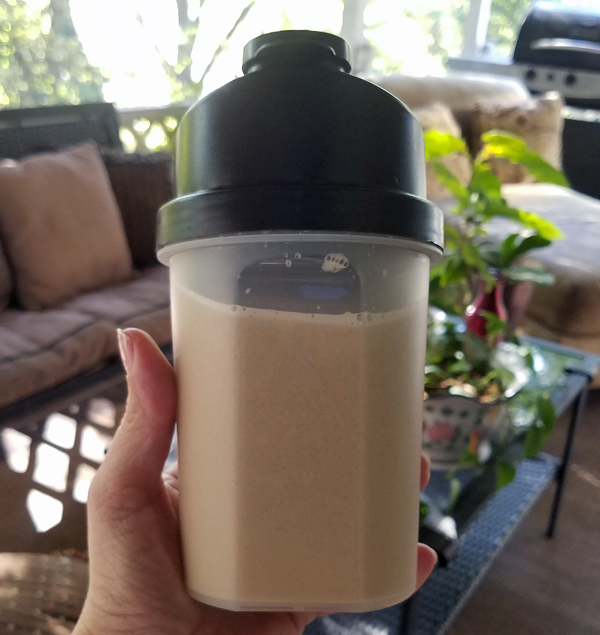 I really like the “breakfast keto coffee shake” thing for breakfast! I had that again on Wednesday morning, with a Vanilla shake mixed with coffee this time. 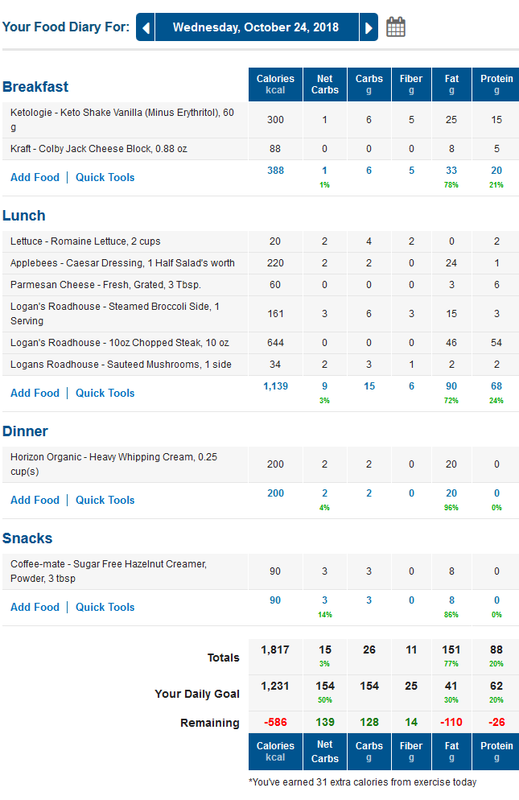 I also had almost an ounce of cheese I sliced off the block when I felt snacky later, which you’ll see in my food diary below. 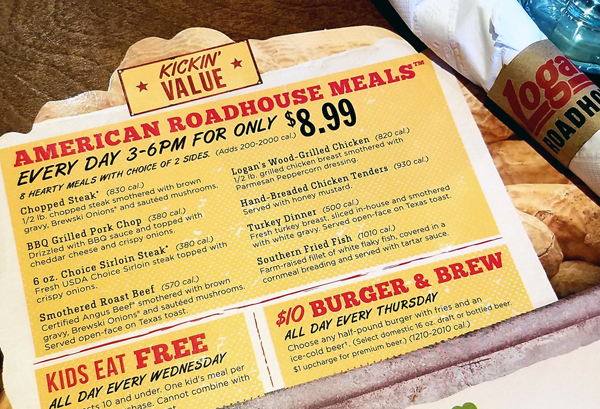 I get the Wood Grilled Chicken with Parmesan Peppercorn Dressing and added cheddar & bacon, plus steamed broccoli & a side caesar salad (no croutons) -OR- the Chopped Steak (mushrooms only for me) & 2 sides. 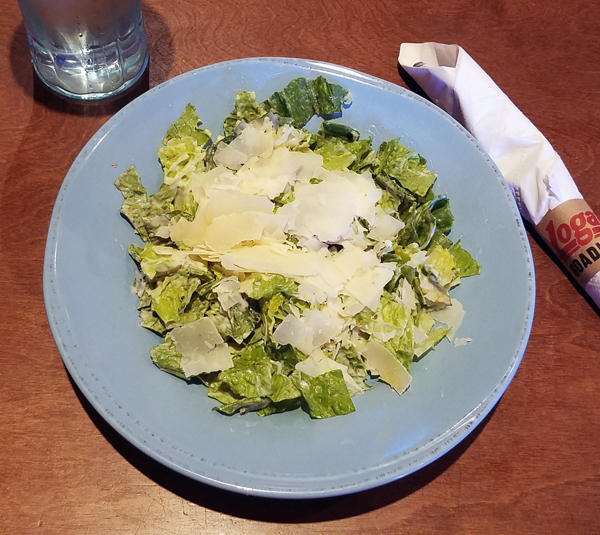 I started with the side caesar (no croutons) and *almost* filled up on the salad alone! I had the 10oz Chopped Steak with no gravy. I did get the onions on it this time, but I don’t eat them – I scrape them off. I don’t like the texture of onions lol, but I love the flavor! UPDATE: The Onions Brewski Style Topper (the onions on top of the chopped steak) are 38 carbs. I’m glad I scraped them off! 😛 *whew* Thought I better let you know in case you ordered it with intentions of eating the onions. 😉 Eek! 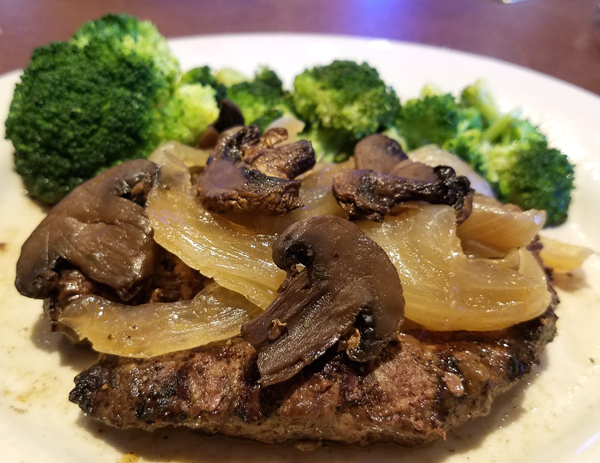 I ate about half the chopped steak, mushrooms & broccoli (plus the whole salad) and brought the other half of the meal home and finished that for dinner later in the evening. 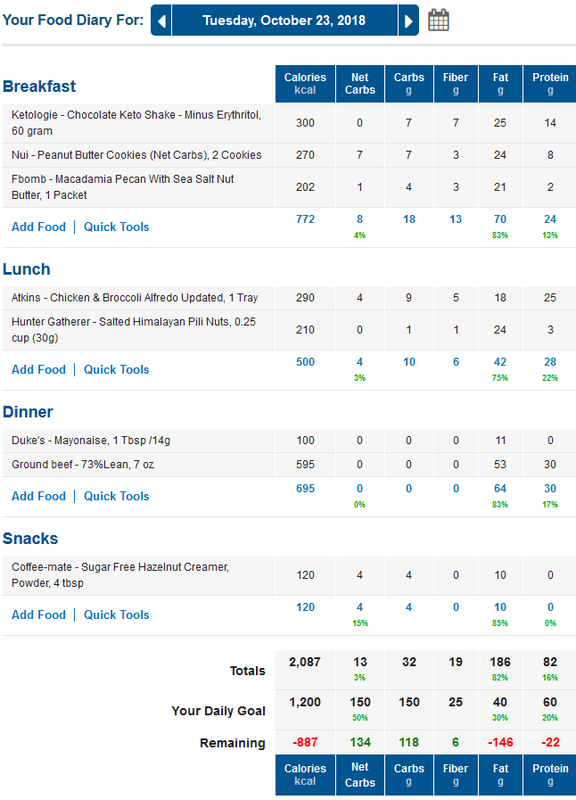 You’ll notice HWC (Heavy Whipping Cream) in my last food diary above. I stopped at Starbucks after dinner for a large iced coffee. They use about half a cup of HWC unless you specify less, but I only drank half the drink – and put the rest in the refrigerator to enjoy the next morning. How are things going with you? Leave a comment and let’s chat! 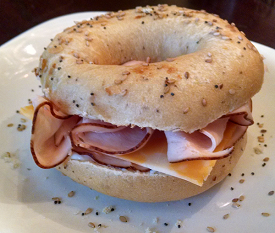 This entry was posted in Low Carb Daily Journals. Bookmark the permalink. I appreciate your diary updates. It gives hope that one can lead a ‘normal’ life and still keep to a dietary lifestyle. 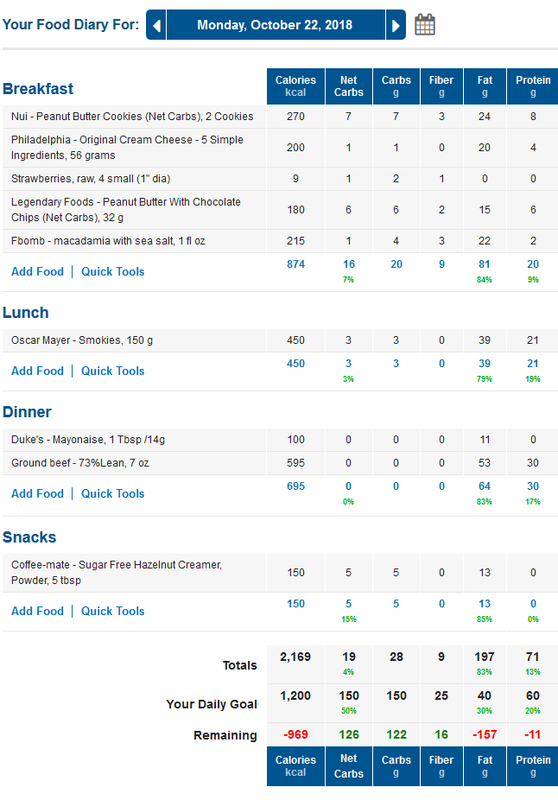 I really admire your discipline to keep your myfitnesspal log up-to-date. To me, it looks like the Nui cookies are not updating correctly in your log. The fiber count has not been deducted from total. Thanks for sharing your logs and your ideas. I am bad about getting stuck in a rut and your ideas are a huge help. There are SO many great low carb foods to enjoy, but for some reason it’s easy to just get in the habit of eating/making the same things over and over. I’ve been looking back through old food diaries here for ideas, lol – something different is always good! I look forward to getting your e-mails. They are fun, informative and well done. I have a few snacks I would like to refer you to in case you have not had them. You have not mentioned them in your e-mails. They are all terrific. The first is Dang Keto Bars. There are three different ones and are just great. The next is Curly Girlz Candy. 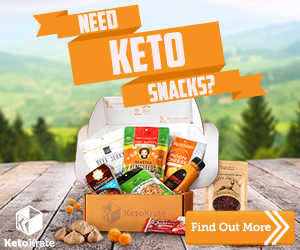 They have a whole variety and all fit into the Keto lifestyle. They are OMG. The next one is the new IQ Bars, Blueberry, Lemon and Sunflower. Another winner. I agree with you one hundred percent – I can’t decide either which is my favorite with the Ketologie shakes. I know that I will never ever be without them. There are so many uses and I never use two full scoops so they last longer. Right now I’m using the chocolate as hot chocolate at night. As well as right now while I’m sick. 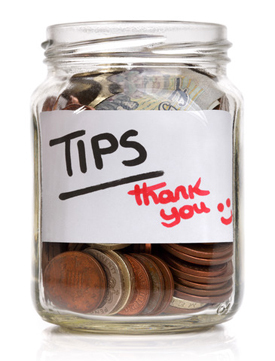 I have enjoyed reading your blog and keep up with you. I have started back on low carb this week and really trying . Way to go, Lisa – Welcome back to the FUN! 🙂 You said “really trying” – what do you find you struggle with most? 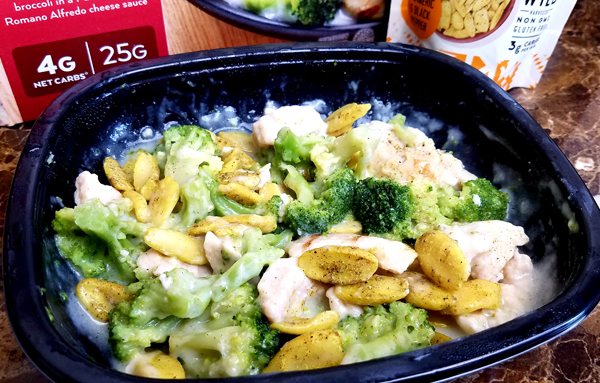 I am fairly new to Keto lifestyle and I am so grateful I came across your blog. I am still learning how much of this and that to eat. I’m still afraid to eat fat and maybe that’s wo I reached a stall. I’ve lost 35 lbs and would love to loose 10 more. Thank you for being so open on your blog and also for posting your daily food intake. 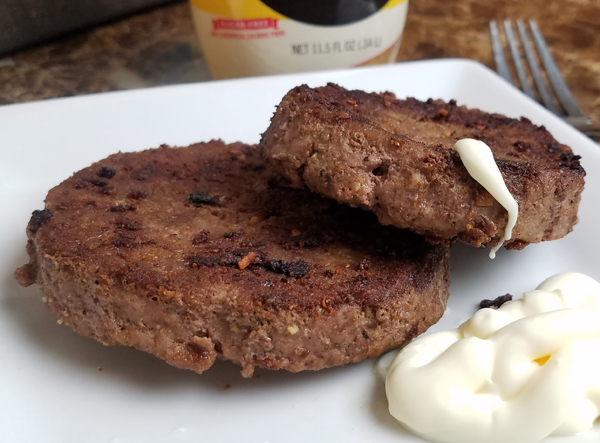 What brand of hamburger patties do you use? Thanks for all the good ideas as always. I just used your discount code for Nui cookies and am looking at your other posts deciding on what else I might try. Hi Lisa 🙂 They were just in the meat department, already in 4 individual patties. That made it easier than having to patty them out myself. 😛 haha! 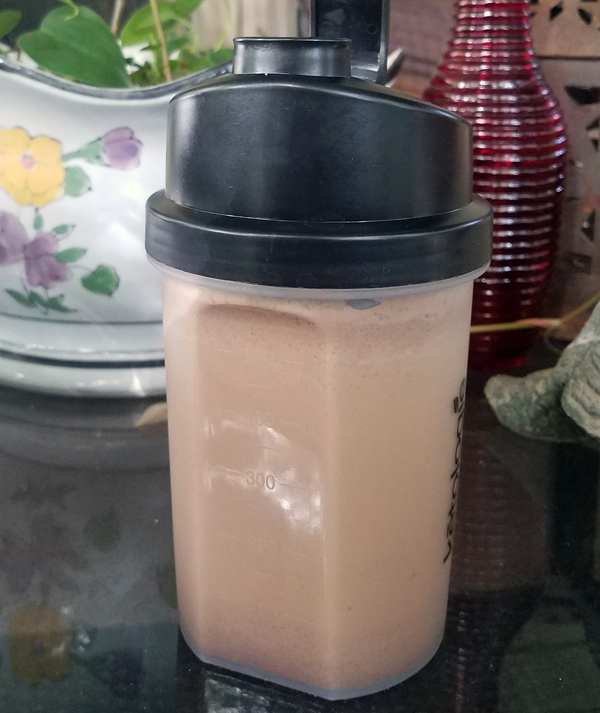 I really LOVE the keto shakes and am having those daily: https://www.travelinglowcarb.com/ketoshake Our coupon code is LowCarbTraveler. That link is for the individual shake packets which are super convenient for on the go – but the jugs are a better value of course. And the tumbler is awesome! …and Lynn – not Terry. I’m batting 0 today! Thanks for responding, Lynn. I went back on a couple of your older pages and saw that your MFP goals for fat were 70%, protein 25%, so I figured it must be a glitch – but it had me worried for a bit as that was all I looked at, not the chart! Thanks again! Low Carb Bread You’ll LOVE! Visit Lynn Terry's profile on Pinterest. Get My Daily Low Carb Meals & Food Diaries - Free!